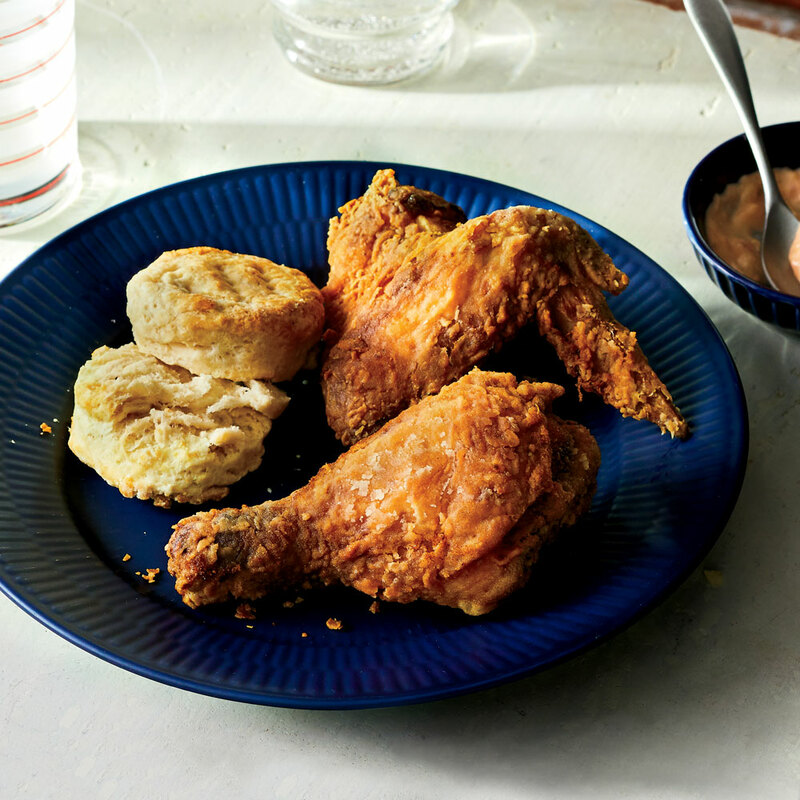 Scott Peacock got this delectable biscuit recipe from Edna Lewis, the legendary Southern cook and his mentor. The unbaked biscuits can be frozen in a single layer, then kept frozen in an airtight container for up to 1 month. Thaw before baking. To make your own single-acting baking powder, combine 2 tablespoons of cream of tartar with 1 1/2 tablespoons of cornstarch and 1 tablespoon of baking soda. The mix will keep in a tightly sealed jar for up to 1 month. Fried Chicken with Tomato Gravy .